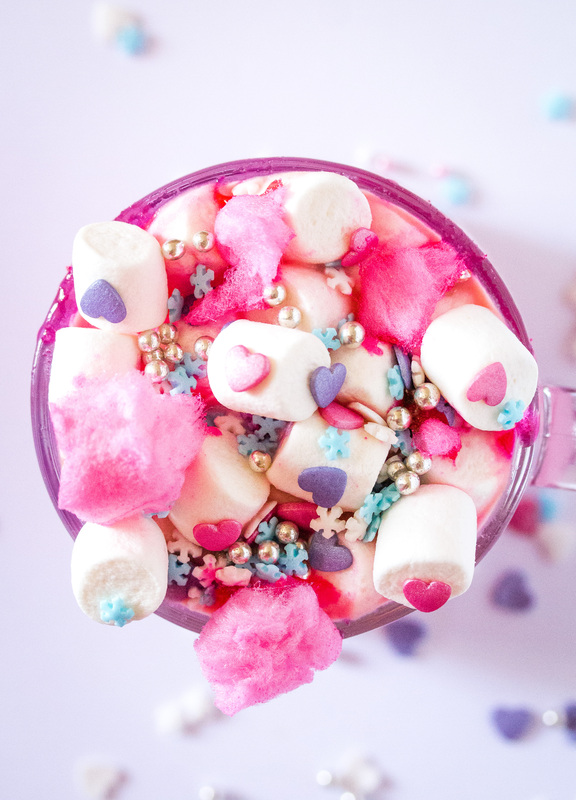 This Unicorn Hot Chocolate is a fun twist on homemade white hot chocolate, with lots of colors, sprinkles and cotton candy. It’s a perfect warm drink for cozy evenings for all Unicorn fans! 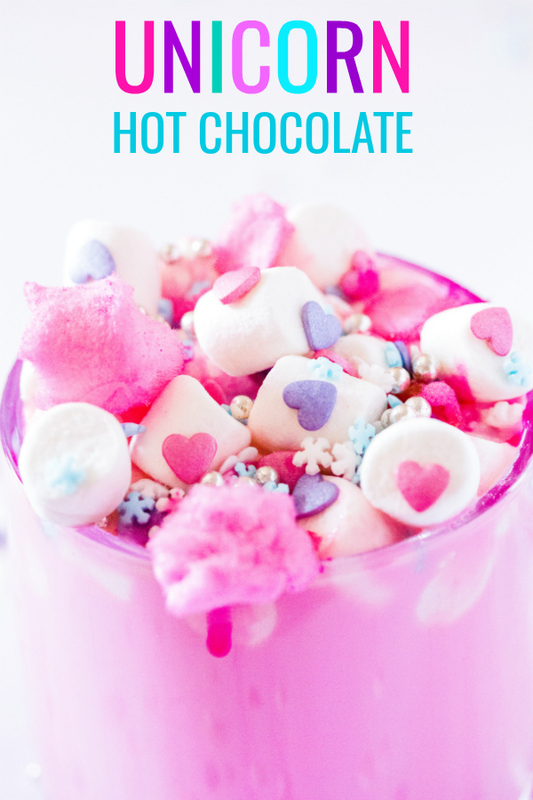 So let’s get started with this beautiful Unicorn Hot Chocolate which is yet another hot chocolate recipe that I’m posting during the Hot Chocolate Extravaganza at I Knead to Eat. I have a 4 year old daughter who’s totally obsessed with all things unicorns. So obviously when I sat down to plan out this Hot Chocolate Extravaganza, I knew there had to be a Unicorn Hot Chocolate. This Unicorn Hot Chocolate is based on my recipe for Three-Ingredient Creamy Homemade White Hot Chocolate, and it’s super easy to make. We start off with homemade white hot chocolate, and add a few drops of red food coloring to make it this gorgeous shade of pink. And then begins the fun part, the toppings! Use good quality white chocolate as that’s the flavor base of this Unicorn Hot Chocolate. I prefer Lindt or Godiva. Please do not use white chocolate chips as they have added stabilizers so they do not melt as well. When adding the chopped white chocolate to the hot milk, make sure to keep whisking so that they white chocolate melts properly. This may take a couple of minutes as white chocolate takes sometime to melt. For the pink color of this Unicorn Hot Chocolate, I used red gel food coloring, as it only takes a few drops to reach the desired shade of pink. 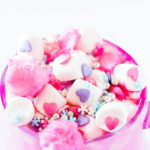 This Unicorn Hot Chocolate can be stored up to 3 days in the refrigerator in an airtight container such as a mason jar. 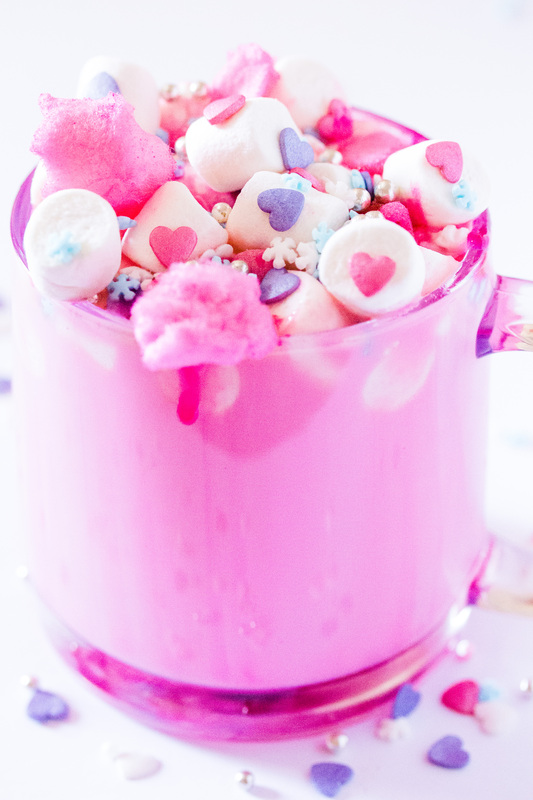 Unicorn Hot chocolate is a fun twist on homemade white hot chocolate, with lots of colour and sprinkles. Perfect for Unicorn fans. In a medium sized saucepan combine the milk, white chocolate and vanilla. Bring to a gentle simmer and continuously whisk until the white chocolate has completely melted. Add a few drops of red gel food colouring and whisk until you reach the desired shade of pink. Remove from heat, and pour into serving mugs. 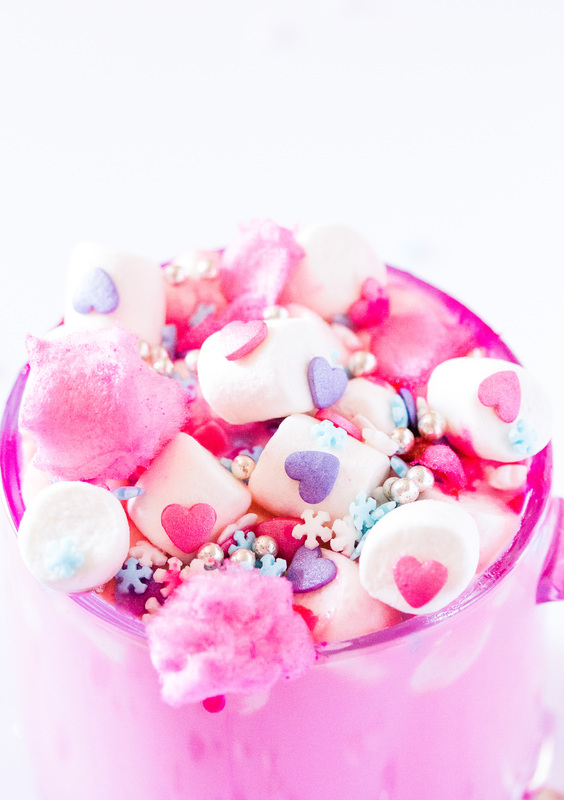 Top with mini marshmallows, pieces of cotton candy and assorted sprinkles.